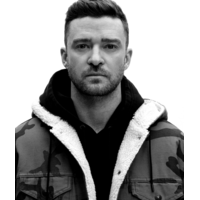 Justin Randall Timberlake (born January 31, 1981) is an American pop musician and actor. He has won six Grammy Awards as well as two Emmy Awards. He achieved early fame when he appeared as a contestant on Star Search, and went on to star in the Disney Channel television series The New Mickey Mouse Club, where he met future bandmate JC Chasez. Timberlake became famous in the late 1990s as the lead singer of the boy band 'N Sync, whose launch was financed by Lou Pearlman. In 2002, he released his debut solo album, Justified, which sold more than 7 million copies worldwide. The album was a commercial success, spawning the hits "Cry Me a River" and "Rock Your Body". Timberlake continued his success with his second solo album, FutureSex/LoveSounds (2006), debuting at number one on the Billboard 200 chart, and produced the US number-one hit singles "SexyBack", "My Love", and "What Goes Around.../...Comes Around". Timberlake's first two albums made him one of the most commercially successful singers in the world, each selling in excess of 7 million copies. Aside from music, he has also begun an acting career, while his other ventures include record label Tennman Records, fashion label William Rast, and the restaurants Destino and Southern Hospitality.